Were you one of 10 Jennifers or Mikes or Bobs or Lindas in your class at school? Or perhaps you were the only Moonbeam or Daejuwon in school and loved it, and wish to continue the tradition. 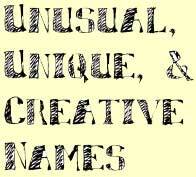 In any case, here is a site that, hopefully, will break you out of the bonds of conventional naming trends and start you down the path to creativity. Unlike in past eras, when Johns and Marys reigned supreme, the 21st century is marked by parents looking to different sources from the traditional naming pools when naming their children. Whether taking old classics and re-spelling them, or inventing totally new names, people are getting more creative with names. Gone are the days when there will be 5 Daves or Jennifers in a class--statistics show that fewer babies are being named with the top names. Even though this is the case, there are still trendy favorites that you may or may not want to avoid. 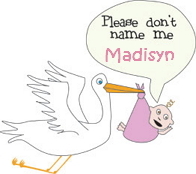 Hopefully, you'll learn which names are currently popular and can make an informed decision as to what name to use. 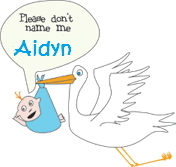 By the way, this site isn't just for naming babies. It's for anyone who wants to name anything! Dogs, cats, gerbils, D&D characters, characters in novels, robots, boats, cars... you name it!